I’ve had a chance to review a few toys over this past year and the latest set from Hasbro has probably been the best I’ve received yet. The Play All Day Elmo, DohVinci Spotlight Spin Studio, Nerf Rebelle, and ever so popular – Pie Face are all in my Top Toys list this year. They are all a bit different, yet each have an overall appeal that makes them ideal for lots of different kids (and adults too!). Check out what I love about each of these toys and see why they made the top of my list. The Play All Day Elmo is one of my top toys picks because it is actually fun (and not just for toddlers). I took Elmo out of the box and tried him out a bit and was surprised how addicting it was to see what Elmo was going to do next. I have just a few of the 150 interactive things showcased in this short video, but check it out. He is definitely going to be loved by my toddler, as well as any others who think Elmo is awesome. This bow has an auto-feed rotating quiver — how cool is that?! 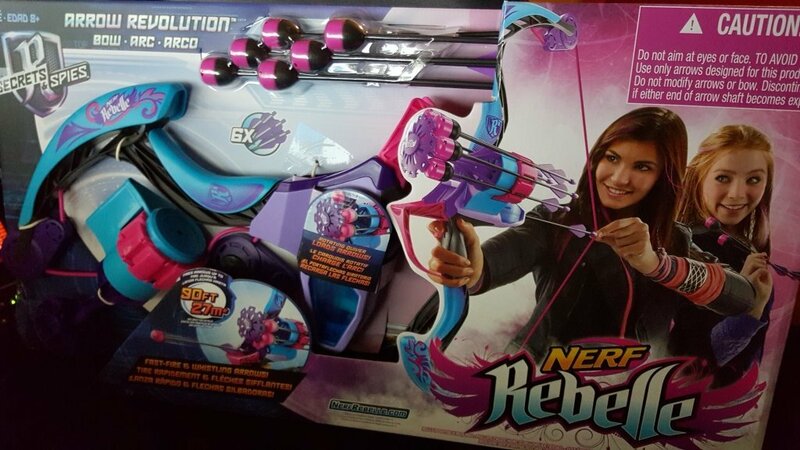 I actually didn’t realize until I received the bow, but it does not have soft foam tips like most of the nerf products. They are plastic, so this toy is geared more for older kids. The arrows also whistle as they fly through the air. The spin studio is perhaps the toy I am most excited about. 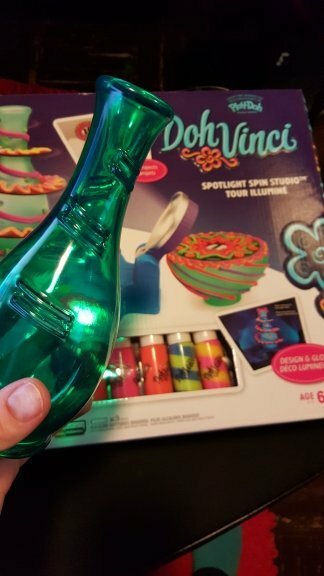 Initially, I thought it was just going to be another one of those one-time-use toys that loses its appeal after you’ve done it once, but I can see lots of applications for continuing to use this even after the crafts that come with the kit have been decorated. Since you can really use this on anything, the possibilities are endless! The projects that come with the kit are cardboard and plastic, but I don’t think you have to limit yourself to items that are in the kit. To get started, load a Deco Pop tube into the Styler and place a flat or 3D project on the motorized spinning platform. While designing, shine the stable white light onto your project as you squeeze the Styler to create bold 3D lines, swirls, and anything else you can imagine. You can also spin by hand for a freestyle experience. When you’re ready to display your designs, choose from 4 colorful and flashing light styles to feature your masterpiece in a spectacular lightshow! With 2 vase projects, 3 flat projects, a Styler tool, and 6 Deco Pop tubes (including 2 Blendables colors), this super studio comes with everything you need to turn arts-and-crafts time into a dazzling experience! So there you have it. The lastest in toys that are sure to be a hit! 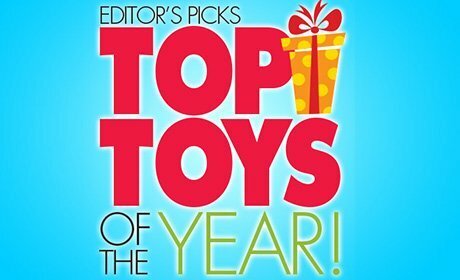 What are your favorite toys this year? Thanks to Hasbro for sending me samples. PreviousTop Ten Gifts for Your Co-Worker!